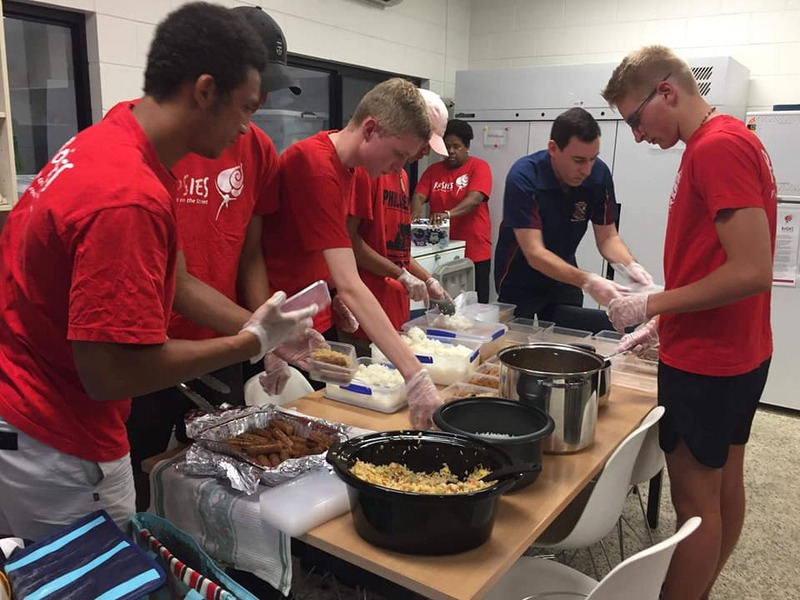 The junior and senior students at St Augustine’s gain perspective and a sense of joy by regularly giving food and friendship to people sleeping rough in Cairns. Every other week, Saints supports a team at Rosies – Friends on the Street (Cairns), alternating Saturday and Sunday nights. 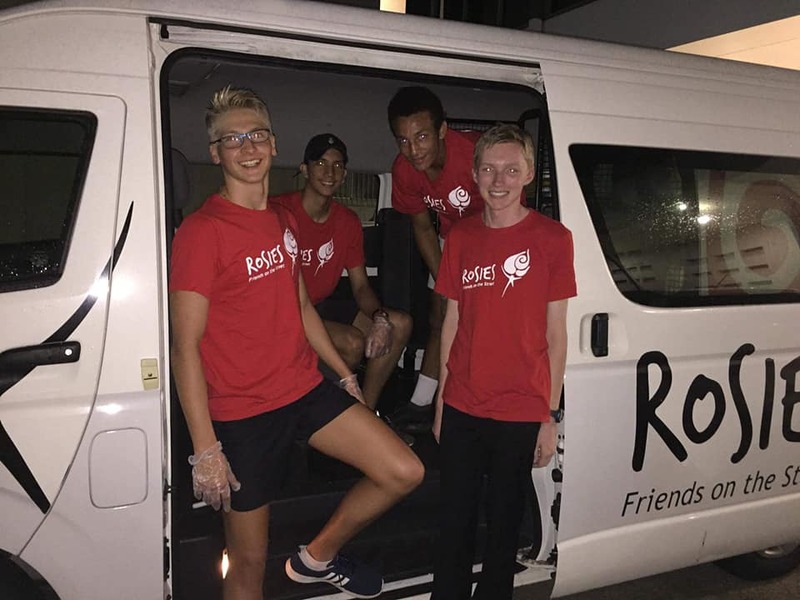 The Year 7 boarders make sandwiches and the Year 12 boys take the food out to Rosies, help the team pack the van, and go out to the streets to offer food and friendship to those who need it most. School Captain, Gabriel Brown is one of the senior boys who has had a lot to say about his experience. He said, “The best feelings in life aren’t found in what you do with your life. They aren’t found in how successful you are or what you accomplish in your life. The best feelings in life are the smiles you see when you help someone else. Because when you see those smiles, you know that you have really made a difference in someone’s life. “You know that you have just helped to make their night just that little bit easier. You know that someone is truly grateful for your actions. You know that your small act of kindness, that single hour you gave up one weekend, has made a positive change in someone else’s life. Mitch Ralston is a Year 12 boarder who was recently involved for the first time. “My experience with Rosies was one of learning and joy. I immensely enjoyed my time and found the whole experience very interesting. It felt good giving back to the community, and I will definitely be doing it again,” he said. Rosies connects with people in need, who are abandoned, socially isolated, and lonely. The heat and rain are issues for Rosies patrons in Cairns. While most of us can cool off inside our homes or in shopping centres, many of those on the street have limited opportunities to find relief. Rashes and infections are often the consequences of clothes soaked with sweat or wet from rain. This can discourage public interaction and even reduce the likelihood of perusing interviews and opportunities for employment. The actions of kindness and compassion that the students give makes a direct positive impact on others’ lives. Whilst Rosies and their ‘friends on the street’ in Cairns are grateful for the service, the boys at St Augustine’s are grateful too. 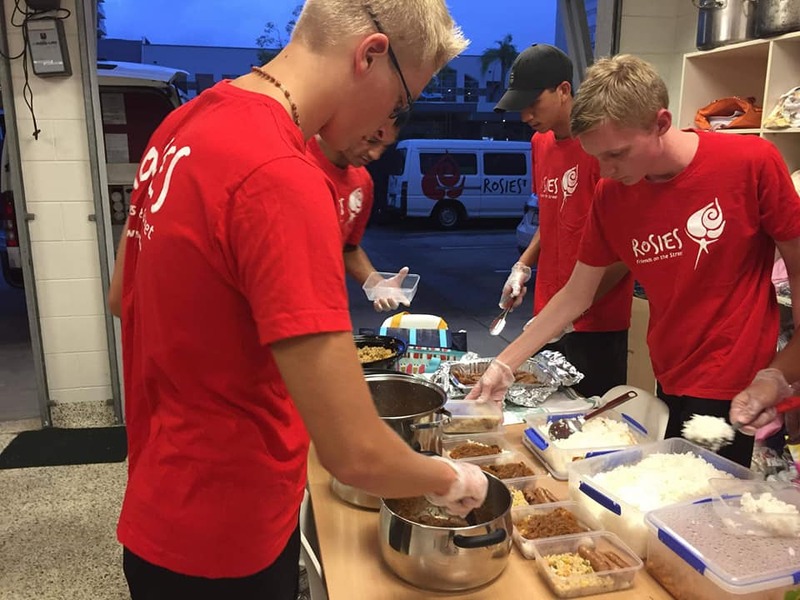 “Rosies was an experience where I could get in touch with my spiritual self, to serve the needs of others and not take anything in my life for granted. There are always people who have it worse than me so I should remember I’m extremely lucky to have what I have,” said Simeon Natusch, Liturgy Captain. The College will continue to participate each month as part of their community outreach program.